300 m from the beach, near the natural park of the Peñon de Ifach, an ideal enclave to discover the sensations of the Mediterranean Sea. 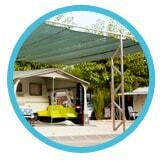 Our campsite offers 107 equipped pitches for tents, caravans or motor-homes and 3 bungalows. 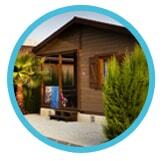 If you like enjoying the leisure, sportive activities, excursions or simply relaxing, this is your campsite. Ideal for family holidays where fun and recreation is guaranteed. Only a few minutes from the glorious beaches with crystal clear water. 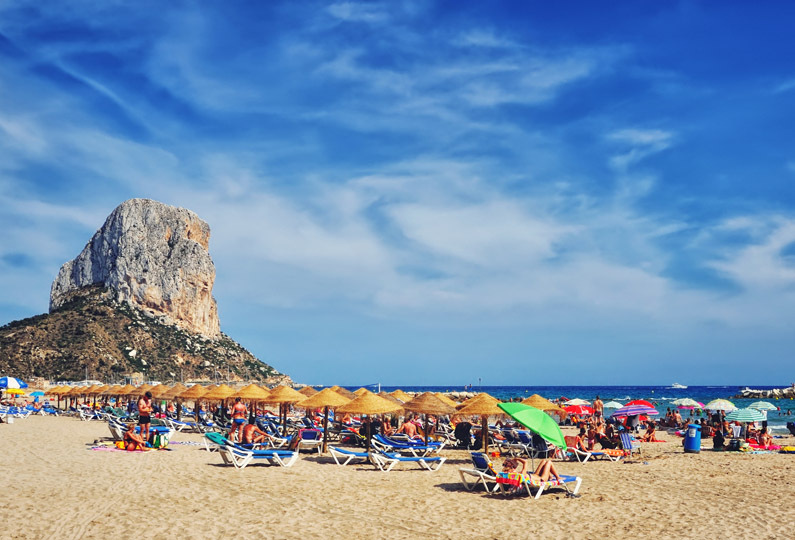 Calpe is offering you 13 km of coast with 14 beaches and bays, so you can choose between mile-long golden sandy beaches, quiet and small sandy bays or virgin rocky coasts, distinctive through their purity of clean and turquoise blue colour.